I'm sort of loving having an indoor tree, and I amazingly haven't killed it... yet. 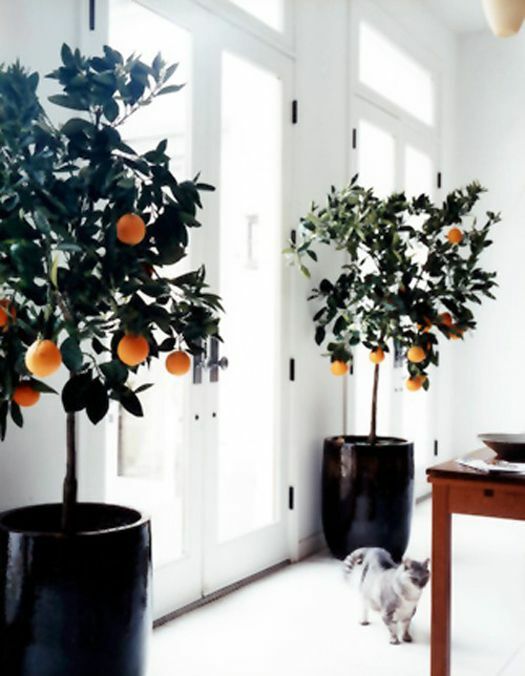 Anyway, I've recently discovered that you can grow citrus trees indoors! Charlie is totally for it, and tomorrow we're planning on searching our local nurseries to find an orange and/or lemon tree. A little trip to Ikea might also be in order. Ooooh yeah. I'll let you know how it turns out. Now THAT would be an unexpected punch of color. Love it.